Imagine a world where your central vision was nothing but a blur or distortion. Any time you try look at something straight on, you can only see the periphery of the object you are trying to see. Try recognizing faces or reading your cell phone or a book with nothing but peripheral vision. 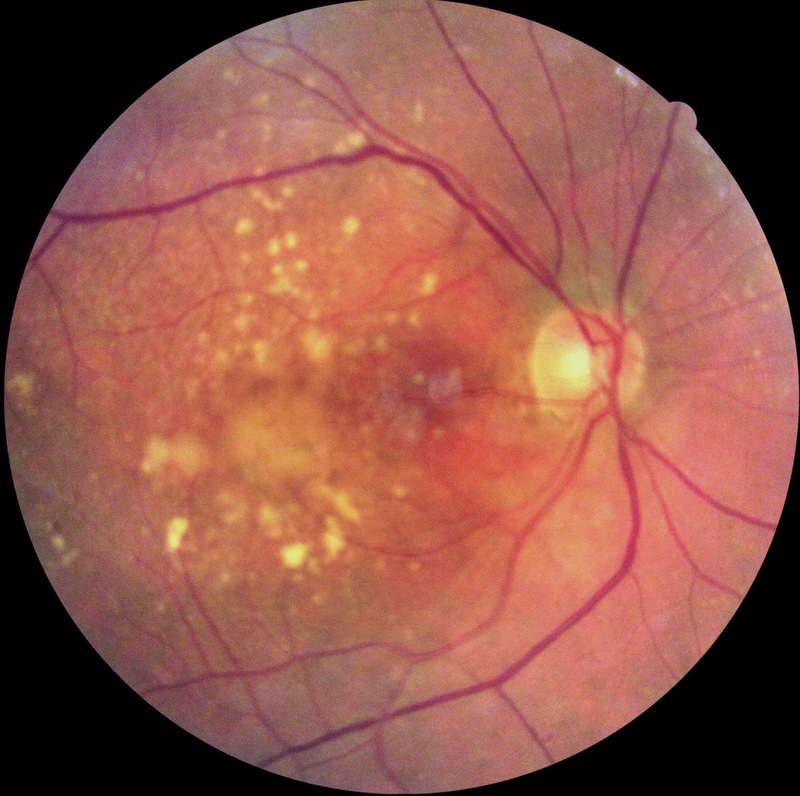 This is what the world looks like for the millions of people worldwide that have advanced macular degeneration. There is no cure for this devastating visual condition, but a new implantable telescopic device can help restore some of that central vision zone for the first time ever. If one eye is damaged with macular degeneration but the other still has great preserved central vision, then the patient is not a candidate. The implant needs to be placed on the better seeing eye in order to provide of any improvement in perceived vision. If the implant is put in the bad eye, then the brain will just suppress the bad eye's image and use the good eye only like it was doing before surgery. You would have just had a very expensive surgery without any visual benefit. In order for the telescope to work, your brain has to want to process its image, and that is why it must be placed on the eye with better vision to achieve the best effect. 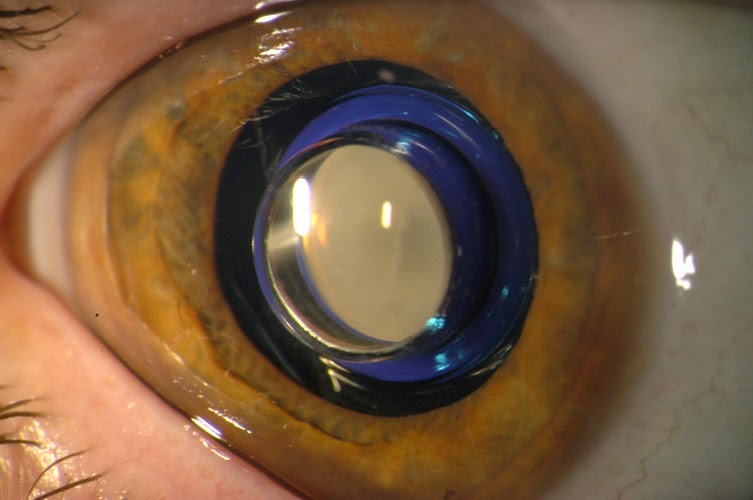 This telescopic implant will only be beneficial if the patient has advanced vision loss, so vision must be poor in order for the telescopic implant to make sense. The reason that poor vision is so important to achieve success with this surgery is that by putting in the telescope, you are sacrificing all peripheral vision out of the eye with the implant. To give up all of that visual field, you have to have a true need for central vision to make the sacrifice worth it. When you have cataracts removed, the surgeon places a clear, plastic implant inside your eye to help correct post-operative vision. The telescopic implant is placed inside the eye in very much the same way. 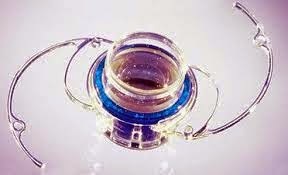 The telescope sits inside of the posterior capsule, just like a standard IOL. Once you have a post-cataract implant in place, there are many risks in removing it, so at this time the telescope implant must only be placed in people that have not had cataract surgery and can be fit with the telescopic implant from the very first. This age limit was just decreased by the FDA (previously the limit was age 75). Since the study results published show that the implant is both safe and effective, the age has been lowered to allow more people suffering from devastating vision loss to benefit. Before the surgery takes place, your surgeon is going to refer you to a low vision specialist to help you prepare for the type of vision this telescopic implant can provide. The world is going to look quite different after surgery because with the telescope in place, one eye will be responsible for central vision and the other will do all of the peripheral vision tasks. The telescope creates a type of monovision if you think of it in that light. Once the telescope is in your eye, you can't see anything but that central 20 to 24 degrees of field because the telescope is converting all of your available retinal photoreceptors into central vision processing centers. The patient will need practice and coaching to get used to having their eyes see so differently, and before and after implantation there is going to be a learning curve to get comfortable with the new vision provided. Very little can be done with modern medicine to return lost vision to someone with macular degeneration, but the reason that the CentraSight telescope has been so popular in the news lately is because studies show such promising vision improvement. In the course of one year after telescopic implantation in the better seeing eye, 90.1% of 206 participants had gained 2 lines of letters on a visual acuity test, and 66.6% achieved 3 lines of visual improvement. This improvement in vision can mean the difference in recognizing faces, or living more independently. You aren't going to be driving or reading small font books, but it can make navigating every day tasks much easier and safer. Dr. Isaac Porter explains the telescopic implant in the video above. Are you interested in learning if you or a loved one could benefit from the CentraSight implantable telescope? Please head to this website to find a provider in your area, or ask your local eye doctor for a referral to specialist that offers this treatment!